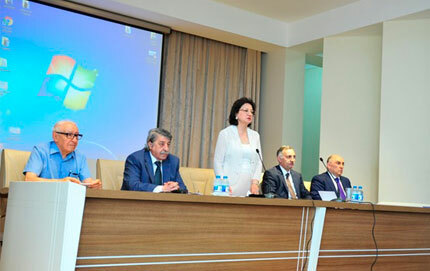 An international scientific-practical conference "The possibilities and prospects of application of information technologies and systems in construction" was kicked off organized by the Azerbaijan University of Architecture and Construction (AUAC) and the Institute of Control Systems of the Azerbaijan National Academy of Sciences (ANAS) on 5 July. Chairman of the Governing Board of the Intellectual Property Agency of the Azerbaijan Republic Kamran Imanov, Deputy Minister of Transport, Communications and High Technologies Elmir Velizadeh, Director of Institute of Information Technology of ANAS, Academician-Secretary Rasim Aliguliyev, Director of Institute of Control Systems of ANAS, Head of Information Technologies and Systems Department of AUAC Telman Aliev, Director of the Institute of Mathematics and Mechanics of ANAS Professor Misir Mardanov, and Head of the State Fund for Information Technology Development Elchin Zeynalov took part in the conference. Representatives of various institutes of ANAS and higher education institutions, guests from Uzbekistan also participated in the conference. Opening the conference, Rector of the AUAC, Professor Gulchohra Mammadova welcomed the guests and stressed the relevance of the topic. The rector noted that holding such a conference in the age of information and communication technologies (ICT) is of great importance. She emphasized that the 21st century is characterized by the rapid development of science and technology, new technologies, scientific and practical innovations, and the application of IT technologies to all aspects of life and that a lot of work is going on in the field of information technology at AUAC, the Information Technology and Systems Department of the University making a great contribution to this development. 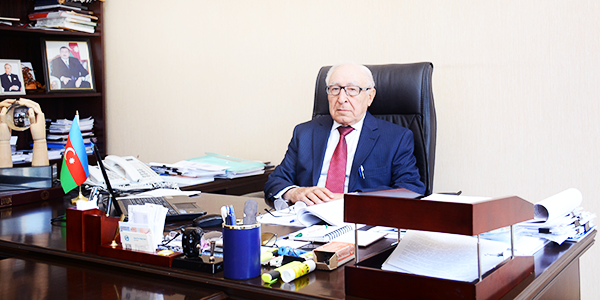 Director of the Institute of Control Systems of ANAS, Head the Information Technologies and Systems Department of AUAC, Academician T. Aliev and guest from Uzbekistan Ibrohimali Normatov listened to the plenary session of the conference. 110 lectures are expected to be given at the two-day conference.